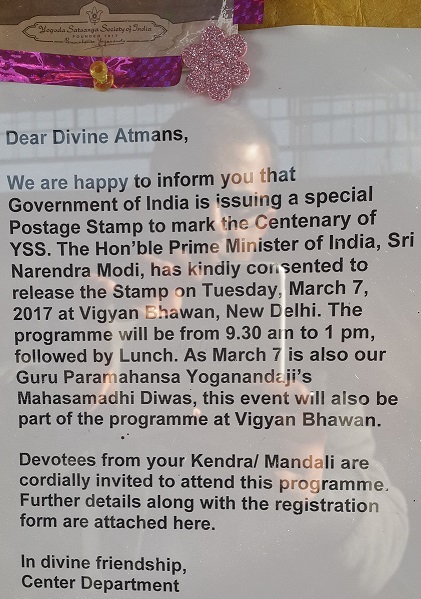 Dear friends, Metaphysics Knowledge is happy to announce that the Government of India will release a postage stamp in the remembrance and honour of Sri Sir Paramhansa Yogananda Ji, founder of YSS India and SRF USA. The even will take place on the coming 7th of March 2017 at Vigyan Bhawan New Delhi from 9:30 am to 1:00 pm. We have already carried stories about the Saint and other Gurus of YSS namely Sri Mahavatar Babaji, Lahiri Mahasaya ji, Swami Sri Yukteswar Giri ji, Daya Maa etc. All we can say is that if we try to follow their teachings and that too for our own upliftment and benefit, that would be the true service to them.